The Central Oregon Community College rugby club has had two undefeated seasons since it was founded. 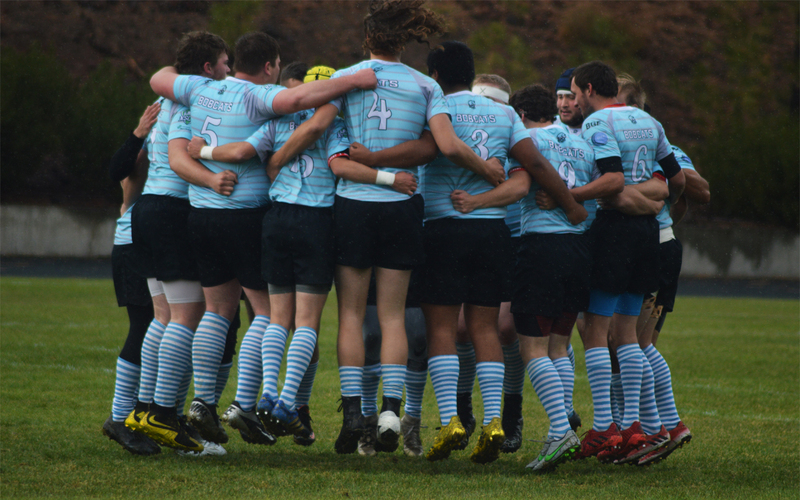 In the fall of 2014, the national small college rugby team was undefeated and the team hosted the regional tournament in its third year. 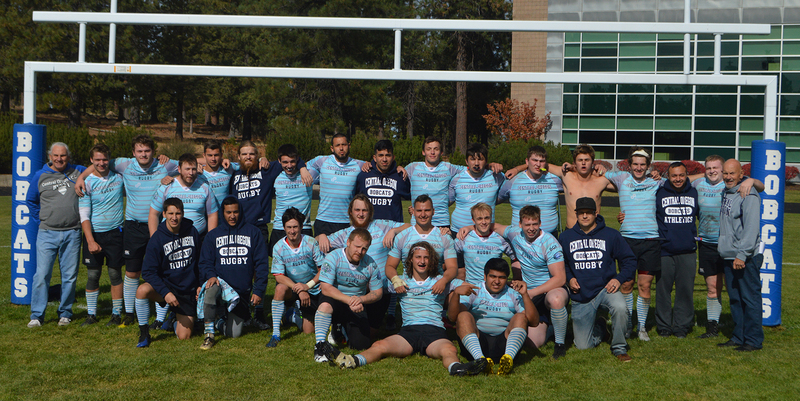 Central Oregon Community College’s 2017/18 Rugby team. 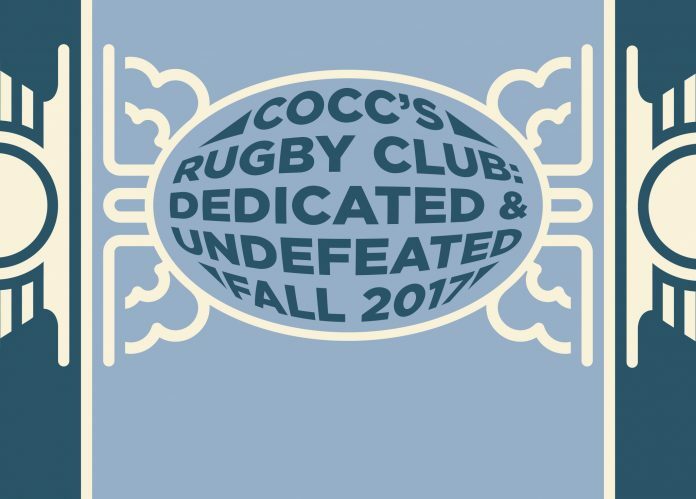 The fall of 2017 was another undefeated season for the COCC Bobcats, and though the they didn’t lose a game, they played while suffering the loss of one of their own. Prior to the undefeated 2017 season, Braden Fillmore died in a car accident on Highway 78. 20-year-old Fillmore had played through the previous winter and spring and fall seasons with the Bobcats. 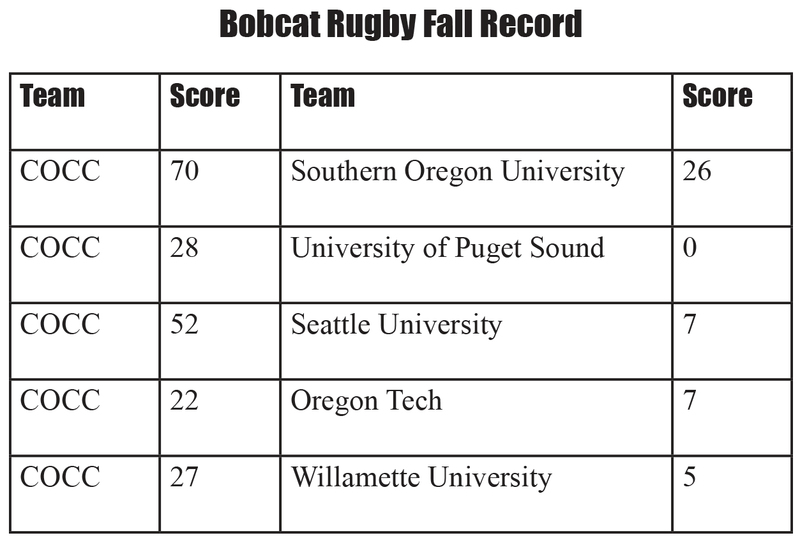 According to team photographer Randall Vollrath, he gave the game 150 percent on the field, which is remarkable for someone who had never played rugby until he joined the Bobcats. “The team dedicated this season to him, and wore his initials, BGF, on their team uniforms as a tribute to Braden and his life. Coach Woody took photos that I had done of Braden and the team to his memorial service. The team played their hearts out and went 5-0 this season, undefeated,” Vollrath said. Vollrath has taken photos for the team for a while, and he met Fillmore when he asked him to add him as a friend on Facebook so that he could make sure to get him his photos when he was sending them to the rest of the team. Fillmore wanted to meet him face to face and talk to him after that. Eighth man, rugby player and team captain for three years, Zach Ferguson explained that the team dedicated the season to Fillmore because they all knew that he loved it, and that he would want the team to play as hard as they could and have fun doing it. Looking forward into the winter and spring season and regionals, the Bobcats hope to maintain that intensity and heart as they approach upcoming games. Coach Woody Bennett is focused on the team being bigger, stronger, and faster to take on the teams coming from California for regionals. “We learned from when they came up in 2015 that we need to step up. We have to learn how to finish, and finish a match well. We need to get in the best shape that we can,” Bennett said. “I’m looking forward to seeing how competitive our team is against the other teams that won in their conferences. The rugby team was young last year, and everyone was just getting used to playing with each other. Trust and communication are huge in rugby, and I think our team cohesion was a lot better this fall than last year, and that made a big difference on how well we played in games,” Ferguson said. “They’ve really come together. They are a great bunch. It’s been a pleasure here at COCC. They really wanted to improve and they did, every single week. The players wanted to get better and they did, it really showed. They were determined to be good rugby players,” Bennett said. The rugby team in the midst of a pregame chant during the OIT match. They won the match 22-7. 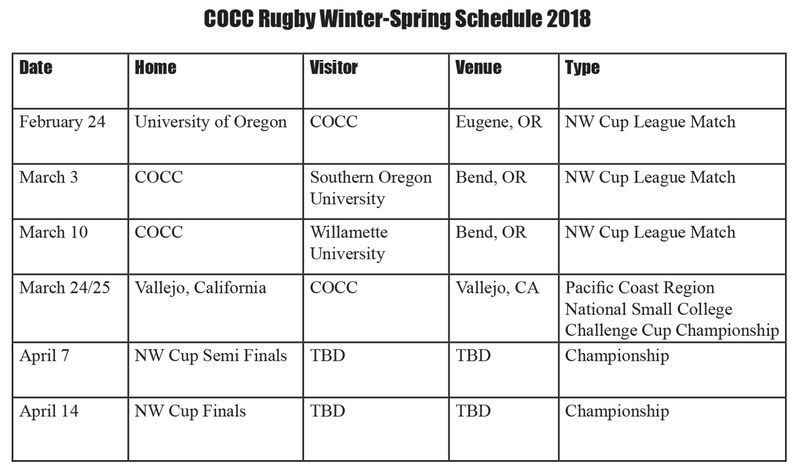 Caleb Rauch [front row prop], Brian Chavez [front row Prop], Zach Ferguson [eighth man], Joshua Garrett [wing forward] and Dalton Chambers [full back/kicker] with the addition of Trevor Thompson [fly-half].